If you think about big lotteries, the US Powerball might instantly come to mind. But did you know that Australia has its own version of this game? The basic principle for these lotteries is the same for both countries. Yet the Australians managed to give it a completely new twist. Therefore, it is definitely interesting to find out more about this lottery from down under. When someone has a good idea, it will quickly catch on. The same goes for lotteries. Inspired by the US Powerball, Australia came up with its own Powerball draw in 1996. The Australian Powerball is organised by the Tatts Group, which is a part of the Lott. This conglomerate is responsible for all the big lotteries in the countries. This obviously gives a sense of trust when purchasing tickets for the Powerball. Each Thursday at 10:45 (GMT), lottery players all over are anxiously awaiting the drawing of the Australian Powerball. There is one drawing per week, although this definitely does not dampen the excitement of the Powerball when compared to lotteries that let their machines spin more frequently. Do you want to try your own luck? Make sure that you fill in your lotto tickets on time, so that you know for sure that you are officially taking part. For the Australian Powerball, you have to select 7 numbers on your ticket in total. You choose 6 out of the 40 regular numbers as well as the Powerball (for this, you can choose between 20 numbers). The first time that the draw took place using this system, was in March of 2013. Before that time, players had to predict 5/45 (regular) and 1/45 (Powerball) numbers correctly. But by changing the system, Australians have made the game even more exciting. Australian and American Powerball: what are the differences? It is obviously not a coincidence that this Australian lottery was given the name Powerball. The game is, after all, fully modelled after its American counterpart. A smart move, as the US Powerball has been extremely popular ever since 1992. And this is a success that the Australian Powerball lottery was able to cash in on from the start. Although the basic principle of both Powerball lotteries is the same, there are definitely some differences as well. This already becomes visible when filling out the lottery ticket. Just like for US Powerball, the lottery ticket for the Australian version consists of two grids: one part with ‘regular’ numbers and one part with the Powerball. It is just the amount of numbers that can vary greatly. As such, the US Powerball has a ticket with 69 regular numbers of which you have to correctly guess 5. For the Australian Powerball, you have to select an additional number, although there are significantly fewer numbers to choose from (40). The grid for the Powerball does, in the US, consist of the numbers 1 to 26. In Australia, this grid does not have 26 numbers, but 20 instead. This adjusted lottery ticket undoubtedly influences your chances of winning. As there are fewer numbers to choose from, odds of you winning are significantly greater than for the American Powerball. On the flip side, the jackpot of the Australian Powerball is somewhat lower. Yet there are still plenty of great prizes to be won. The Australian Powerball has the motto ‘One ball could change it all’. And if you win the jackpot, your life will indeed change overnight. The jackpot of the Australian Powerball cannot match that of its big American brother. Although draws from the past certainly prove that jackpot winners are not left disappointed in any way. On March 1, 2007 Powerball broke the first record of many. The jackpot of 33 million Australian dollars was the highest to ever have been paid out in this country in a lottery. By now, the record breaking jackpot of Powerball has gone up to an amazing 80 million Australian dollars. In euros, this adds up to some 53 million. Has the jackpot dropped? Then the jackpot will fall back to its initial amount of 3 million Australian dollars. When it comes to the jackpot, there are some striking differences between the Australian and the US Powerball. Obviously, the amount that can be won in the American version is of a completely different order than that of the Australian Powerball. Yet if you do happen to win the jackpot of the latter, you will receive the whole amount in a single payout. This is different for the US Powerball, where the amount is paid out over the course of 30 years. On top of that, in the past, there has usually been just one winner who took off with the jackpot of the Australian Powerball. In the United States, this amount is almost always split between several lottery players. This will definitely make it interesting to consider stepping away from the US Powerball for a change and give the Australian version a shot. For many players, the odds of winning are an important reason to choose for the one lottery over the other. Your odds of winning the jackpot of the Powerball Australia are 76.767.600 to 1. Are you thinking that you might be better off selecting the US Powerball instead? Then keep in the back of your mind that the odds of winning this jackpot are a mere 292.201.338 to 1. Still quite the difference. Aside from the jackpot, there are obviously a lot of other prizes to be won as well. The Australian Powerball has 8 prize categories. So, you already win a prize when you get two regular numbers and the Powerball right. Your odds of doing so are 110 to 1. This instantly shows what a more compact lottery ticket means for your odds of winning. Because for the US Powerball, your odds of correctly guessing the same 3 numbers are 701 to 1. Although we have to add that for the American version, you already win a prize if you correctly guess the Powerball alone. Already looking forward to trying your luck at winning the jackpot of millions of the Australian Powerball? You can do so by purchasing lottery tickets via theLotter.com. Fill in your lucky numbers, press the ‘play’-button and finalise your order. You will receive your official tickets in no time and be all set to play along. And after that first time, you probably want to take part in the Australian Powerball more often. After all, the decent odds of winning will have you on the edge of your seat by the time the draw begins. Ready to win the Australia Powerball? 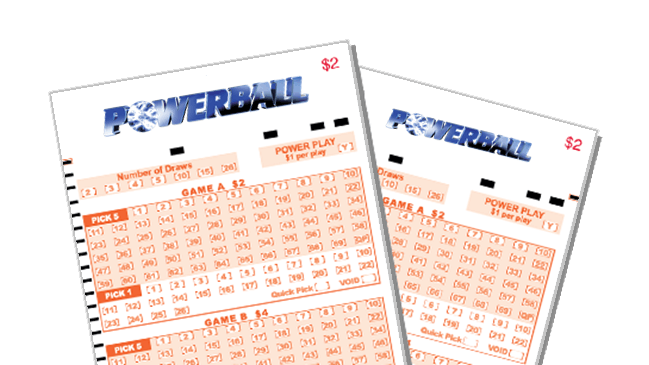 The Australia Powerball is one of the most popular and biggest lotteries of Australia. The Australia Powerball takes place every Thursday night, during which huge cash prizes can be won. Would you want to take part in this Australian lottery? Then purchase your lottery tickets for the Australia Powerball online, in a simple and reliable manner. When taking part in 5 draws through Loten.com, you will receive a very attractive discount of 15% on the purchase of your tickets. This way, you might just have a shot at winning an astronomical cash prize! Get your Australia Powerball tickets here!